Nintendo has announced that the controller for its next console, the Nintendo Wii U, will support near field communication (NFC). Nintendo president Satoru Iwata gave some example of some possible uses for NFC in the Wii U, saying that, "By installing this functionality, it will become possible to create cards and figurines that can electronically read and write data via noncontact NFC and to expand the new play format in the video game world." So games like Skylanders: Spyro's Adventure, which currently uses a "Portal of Power" peripheral to recognise character figures placed on it, would be able to work without the peripheral, and potentially interact in more sophisticated ways. 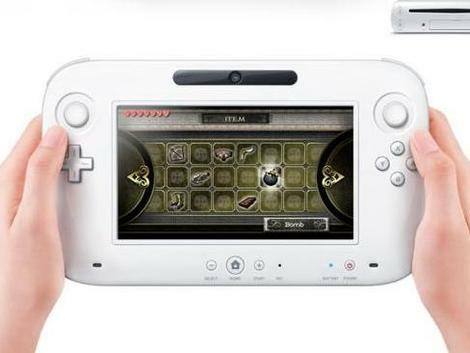 The NFC hardware included in the Wii U will be compatible with the widely-used FeliCa and MIFARE standards. Iwata went on to say: "Adoption of this functionality will enable various other possibilities such as using it as a means of making micropayments." Whether these micropayments are made to the Wii U or by the Wii U is unclear, though somehow we can't imagine ourselves waving a Wii U controller around at the supermarket checkout, so using contactless payment cards to pay for downloads could be on its way. The announcement came alongside the news that the company is launching the Nintendo Network service for 3DS and Wii U which will allow multiple user accounts, full game downloads and more sophisticated gaming interactions than the rather limited Nintendo Wi-Fi Connection. Find all the latest news about Nintendo's newest console in our Wii U: all the latest details feature.